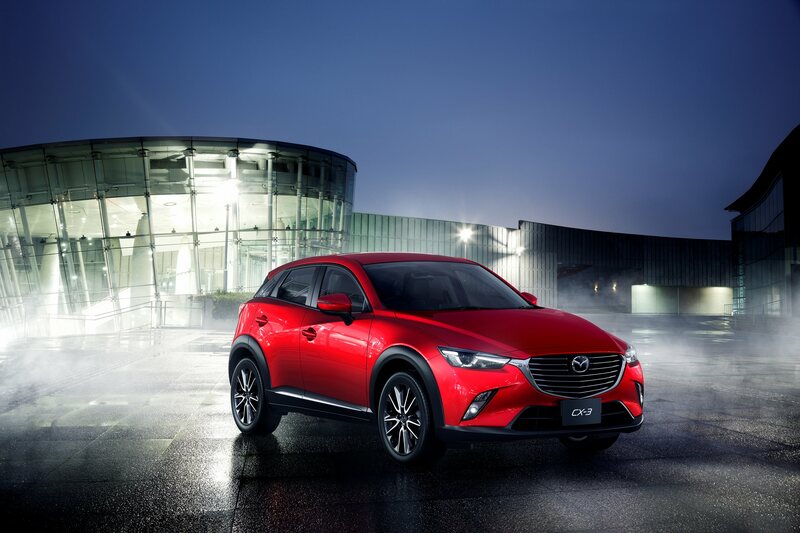 Mazda is in the midst of a new model offensive and fleet managers visiting this year’s Fleet Show will be among the first to see the all-new Mazda CX-3, on sale in the UK on the 19th June 2015. Fleet managers will be able to get behind the wheel of 12 cars from across the Mazda range and put those models through their paces at the Fleet Show, which is being held at the world famous Silverstone complex in Northamptonshire on Tuesday, 12 May. In the exhibition area (Stand 9), fleet chiefs will be able to discuss their Mazda fleet requirements with the marque’s corporate sales team led by Head of Fleet Steve Tomlinson. Fleet decision-makers will be able to take to the International, National or Stowe Circuits in a range of models from across the marque including the recently launched all-new Mazda2 in both petrol and diesel guises, the Mazda3 launched last year and both the significantly enhanced 2015 Mazda CX-5 and fleet favourite Mazda6. Last year, fleet decision-makers were queuing up to book drives in Mazda models so this year visitors are being urged to visit the marque’s stand early to arrange a drive to avoid being disappointed. Meanwhile, the all-new Mazda CX-3 is the marque’s first entry into the small SUV sector and like the rest of the Mazda models at the Fleet Show it features the brand’s breakthrough emission-cutting, fuel-saving SKYACTIV technology, which delivers fuel bill savings to businesses and tax savings to employers and company car drivers alike. Mazda arrives at Silverstone on the crest of a fleet sales wave having seen leasing and end-user fleet demand increase almost a third in 2014/15 with total corporate volumes up by more than 40 per cent in the 12 months to 31 March, 2015 at almost 12,000 units. The Mazda3 launched last year with emissions from just 104g/km and exceptional fuel economy as high as 72.4mpg (2.2-litre 150ps SKYACTIV-D Fastback) has been a key driving force behind the sales boom. Mazda is forecasting further fleet sales increases in 2015/16 notably as a result of the recent launch of the all-new Mazda2, which is expected to prove attractive to public sector fleets and employees opting for a company car through salary sacrifice schemes. The 16-strong Mazda2 model line-up went on sale in March with prices starting from £11,995 up to £17,395, offering five trim levels and a choice of petrol and diesel engines including the 1.5 litre 105ps SKYACTIV-D, which returns incredible fuel economy and CO2 emissions of 83.1mpg and 89g/km – putting it among the best performing cars in its class. Meanwhile, the June launch of the all-new CX-3 will enable Mazda to enter the small SUV sector for the first time with the model expected to appeal to company car user-choosers. The 18-strong all-new Mazda CX-3 range priced from £17,595 to £24,695 offers a choice of 11 petrol and seven diesel variants across SE, SE Nav, SE-L, SE-L Nav and Sport Nav trim levels all powered by SKYACTIV engines – 120ps or 150ps 2.0-litre petrol or 105ps 1.5-litre diesel powerplants – delivering an unrivalled blend of performance and efficiency and returning fuel economy from 70.6mpg on the combined cycle and CO2 emissions from just 105g/km. Mr Tomlinson said: “Twelve months ago we said that the introduction of SKYACTIV technology had delivered a fleet renaissance for Mazda and that has continued throughout 2014/15 and we anticipate the momentum continuing with the arrival of new models and major enhancements to existing derivatives. “The Fleet Show has historically provided Mazda with a major opportunity to raise awareness of our line-up. With the recent addition of the all-new Mazda2, the imminent arrival of the Mazda CX-3, the Mazda3 launched just last year combined with 2015 enhancements to the Mazda6 and Mazda CX-5 ranges, it means Mazda offers fleets one of the youngest model ranges available. The Fleet Show, hosted by monthly publication Fleet World, is being held for the fourth year in succession. Further information is available at http://www.thefleetshow.com/ or to register to attend go to http://www.thefleetshow.com/visiting/.